Since the fall of communism, Poland has become central Europe's powerhouse and one of Europe's most dynamic countries. A country of nearly 40 million people, a member of both NATO and the European Union, Poland has leap-frogged into a position of prominence on the world stage that it has not enjoyed since the 18th century. With a robust economy that is now ranked among the top 20 in the world, Poland is a recognized pace-setter in business, industry and the arts. Poles are increasingly seen as innovative, creative, and tech-savvy. American and international corporations are finding Poland to be an inviting place in which to invest and conduct business. With a proud tradition of more than 1,000 years of history and culture, Poland today is a vibrant democracy with a strong sense of where it has been, combined with an equally confident vision of where it is going. In short, Poland has assumed its rightful place among the nations of the world. Despite Poland's increasing world prominence, universities across the United States are feeling increased financial pressure to reduce programs and course offerings in many areas, foreign languages and cultures among them. Currently, Polish studies programs at American Universities are facing severe cutbacks, even elimination. Responding to this threat, Polish communities across the country are responding by establishing endowments to support the continuation of educational programs in Polish language, history, literature and culture that may be in danger. Polish endowment efforts are currently underway at the University of Buffalo, the University of Washington, UCLA and elsewhere. A recent bequest of $3 million to the University of Illinois guarantees the maintenance of Polish studies there into perpetuity. A similar amount was recently raised at Columbia University. On the local level, several years ago Slovak fraternal organizations donated more than half a million dollars to the University of Pittsburgh to support Slovak studies. This amount has now grown to more than $1 million. As a result, the continuation of Slovak studies at Pitt is assured. Similar campaigns are underway at Pitt for other Slavic languages, including Bosnian/Croatian/Serbian and Ukrainian. It is estimated that one-out-of-six Pennsylvanians can count at least one Polish ancestor. Western Pennslyvania and eastern Ohio boast over 500,000 residents of Polish origin, and Poles have made substantial contributions to the industrial, cultural and religious life of the region. The University of Pittsburgh has traditionally been the center of Polish study in this region and one of the major American academic institutions with a strong Polish studies program. As an increasing number of regional academic institutions have eliminated less commonly taught language programs, Pitt is the only major academic institution for hundreds of miles in any direction to maintain a program in Polish language, literature and culture. In addition to its teaching role, Pitt is also a major scholarly resource center, attracting scholars from both the United States and aborad. The University of Pittsburgh offers nearly 200,000 Polish related books in its university library system, many donated by the Polish National Alliance as a part of the Alliance College Library collection. The University of Pittsburgh is one of the few institutions in the United States where one may take up to three years of Polish language study, conduct research, study Polish literature and culture and travel to Poland under a variety of programs for summer semester, or year-long study in various disciplines. Pitt is one of the elite group of American universities offering both undergraduate courses in Polish, literature and culture, as well as a doctoral program in Slavic Languages and Literatures. Graduates from this academic program have attained prominent positions in government service, business, and higher education. REES is one of only a handful of such government-funded centers nationwide. REES coordinates academic programs in the Central And East European area across all curricular boundaries. Graduates from this program have made significant contributions in academics, international affairs, national security, and politics. Pitt's faculty and students include many world-respected individuals, including Professor Oscar Swan, who has taught Polish language and literature to generations of students. Dr. Swan's contributions to Polish studies have been recognized with the prestigious Polonicum Prize from the University of Warsaw in 2007 for world contributions and promulgation of Polish culture. His textbooks and dictionaries are widely used across the country. His Polish Language Website provides Polish Language learning material free of charge to thousands of users around the world. 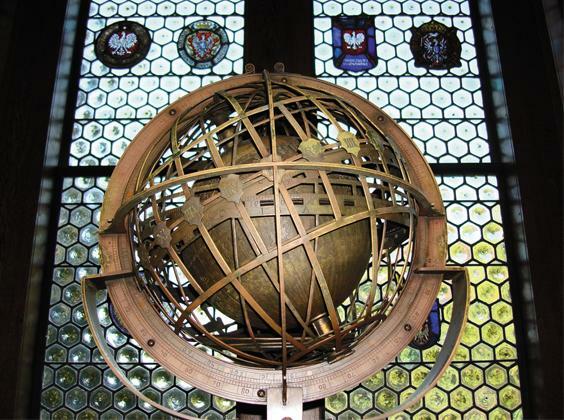 Pitt's Polish Nationality Room is truly a national cultural treasure. Dedicated in 1940, this architectural showpiece was modeled after rooms in Crakow's Wawel Castle and features several notable Polish artifacts. 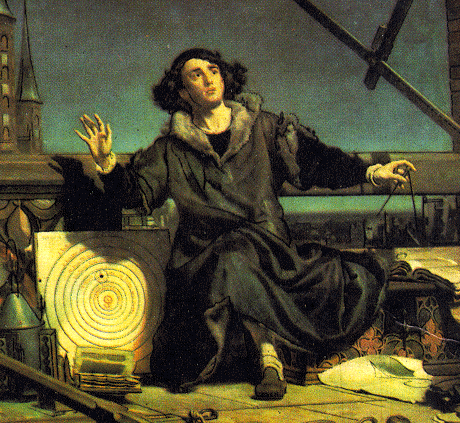 These include copies of Jan Matejko's masterpiece painting Copernicus, a replica of the Globus Jagiellonicus, and the original manuscript for Ignacy Paderewski's only opera, Manru. Windows in the classroom feature stained glass renditions of the coats of arms of Poland's major universities. Each year, the Polish Room Committee provides scholarships for students to study at Crakow's Jagiellonian University in conjunction with local and national chapters of the Kosciuszko foundation. Due to budget pressures, faculty positions at the University of Pittsburgh are often no longer being replaced. Professor Swan, who has been teaching Polish language and literature at Pitt is scheduled to retire in 2023. In order to ensure that the Polish language program continues and that Polish studies is assured a secure position in the regional academic curriculum, it is essential to provide the university with endowed funds, earmarked specifically for Polish studies. Gifts of any amount are appreciated and gifts of all sizes will help to preserve the Polish Studies Program at the University of Pittsburgh. An Endowment is a method through which a donor can make a gift to benefit the Pitt Polish Studies Program that is invested to earn interest, while keeping the core principal intact. Endowments are invested prudently by the university to provide a healthy long-term return and help to protect the fund against inflation and market fluctuations. An Endowed Gift will continue to provide the Polish Studies Program with ongoing funding in future years. What is a Named Endowment? An Named Endowment is an excellent way to honor someone special or memorialize a loved one. Family members, friends and colleagues may also choose to support the endowed fund that you created by adding to it because they know how special it is to you. You and your family will enjoy a long relationship with the University built around something you value: your Polish heritage. With a minimum gift of $25,000, you can establish a Named Endowment at the University of Pittsburgh to benefit Polish Studies at Pitt. You need not contribute the entire amount to establish your endowment. Options are available to allow you to reach the $25,000 minimum over time. The endowment can bear your name, your family's anme, or that of a friend or other family member. A University representative can advise you on the best way to establish your endowment.